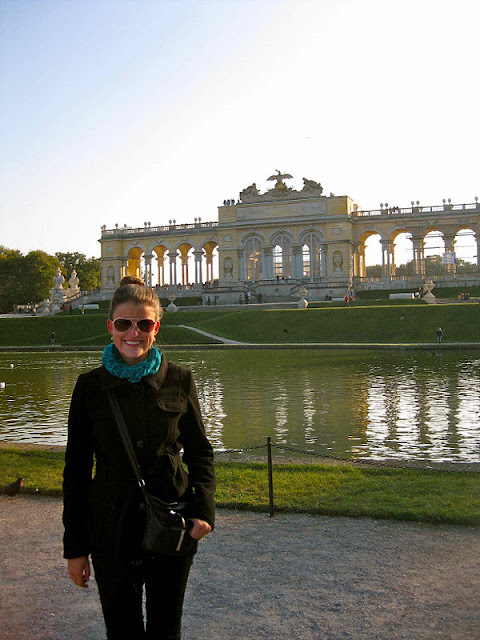 If you’re craving a vacation filled with culture and delicious cuisine, look no further than Vienna. 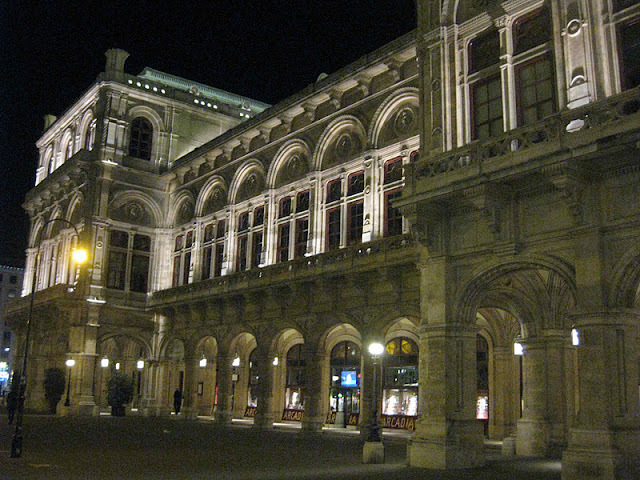 The birthplace of classical music and the home of wiener schnitzel is one of Europe’s best travel hot spots. 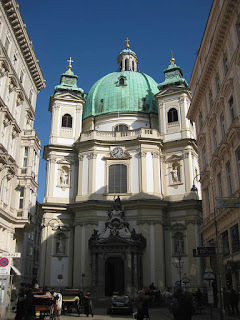 In a recent two-month trip across Europe, I spent three nights in Vienna and loved every minute of it. 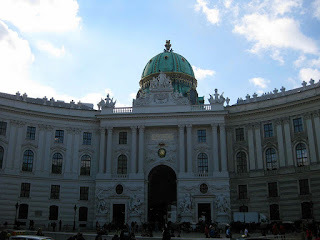 Vienna is rich with history and architectural beauty. A good starting point for your sightseeing is St. Stephen’s Cathedral, the city’s focal point. You can tour the church or even climb to the top of the spire for an unbeatable photo-op of the urban sprawl below. Next, stroll on over to Michaelerplatz to see the impressive Hofburg Palace. 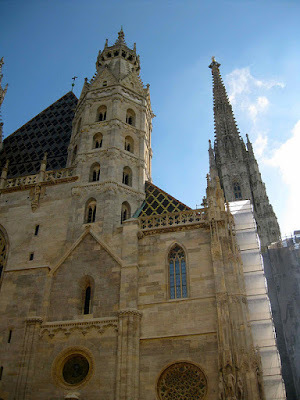 This is where the Habsburg emperors lived during their rule from the 13th century until the early 1900s. If you have time, tour the Imperial Apartments and the Treasury for an inside glimpse into imperial royal life. If you’d rather gawk at the palace’s exterior from afar, walk through the tunnel to get to Heroes’ Square. This is a great place to walk around and snap pictures of the architectural splendor at your own pace. 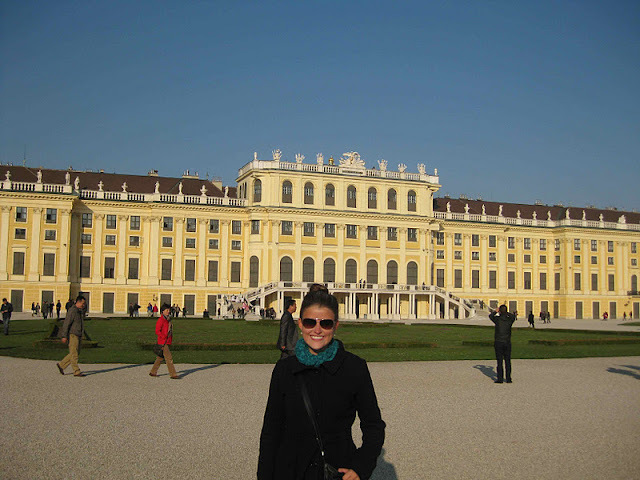 If you find yourself fascinated by the Hofburg Palace, consider touring the Schönbrunn Palace (below), which is just outside town. This is the summer residence of the Habsburgs. Although I didn’t go inside Schonbrunn, the beauty of the gardens blew me away. 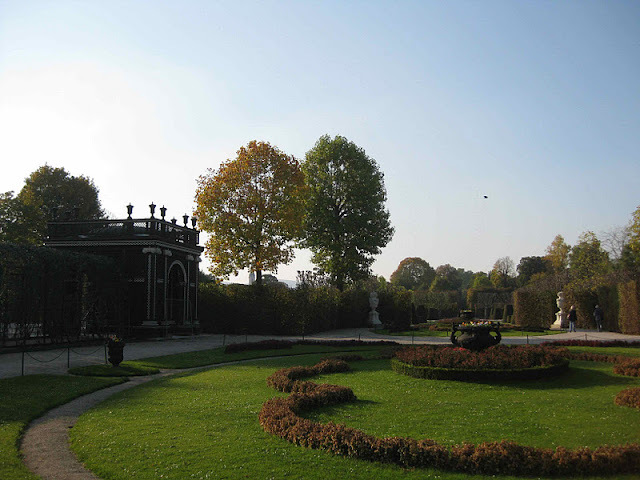 The experience reminded me of visiting Versailles – and was every bit as magical. 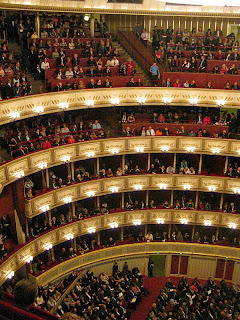 For evening entertainment, attending the opera is a must. 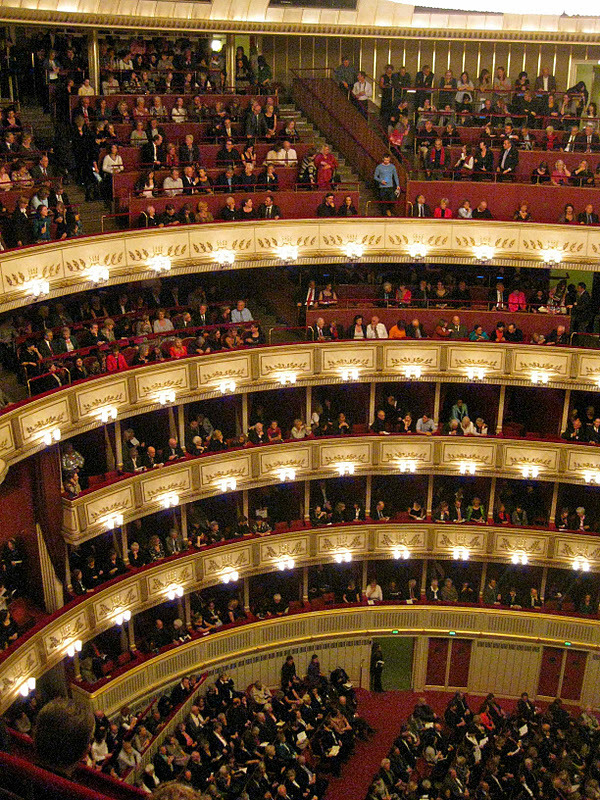 Vienna is considered to be the home of the world’s best opera, but if you can’t justify splurging for 100 euro tickets, you can line up for 3 euro standing room passes. 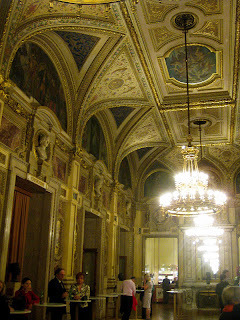 Even if you’re not a big opera fan, having the chance to gawk at the magnificent interior of the Opera House makes the ticket worth every penny! During the summertime, Vienna’s wine gardens (heurigen) are a huge hit with thirsty tourists. There are also scores of fun pubs, clubs and late-night drinking spots located conveniently close to one another in the “Bermuda Triangle” (Bermudadreieck) - an infamous bar zone in the city’s core. The Viennese are famous for their wiener schnitzel, traditional fried and breaded veal, but the city offers many more culinary delights. While wiener schnitzel is a must-try, be sure to check out Buffet Trzésniewski for lunchtime finger sandwiches and duck into Café Sacher to sample the world famous sacher tort, a chocolate cake with a layer of apricot jam that was created in 1832. For instant satisfaction, sample a hot dog from a local stand (wurstelstand). This makes a quick and easy meal that won’t break the bank. If you really want to fit in with the locals, eat your sausage without the bun and alternate between bites of the meat and the bread. The Viennese are also famous for their legendary coffee houses. For a truly authentic experience, check out Café Central – it’s a great place for breakfast and a morning caffeine fix. 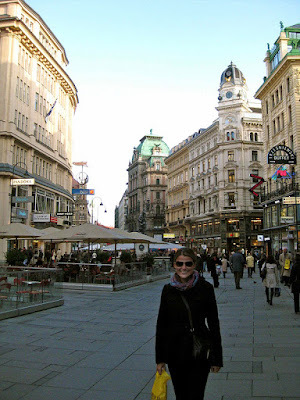 As a budget traveler, I stayed at Wombat’s Hostel, a famous chain with multiple locations in Vienna, Berlin and Munich. I’d definitely recommend the chain to any young travelers looking for a cheap place to call home with wallet-friendly meals and drinks. If you’re looking for more upscale accommodations, book a hotel or bed and breakfast in the Old City so that you’re close to all the action. Kärtner Strasse is the most famous shopping street in Vienna and a delight for window-shoppers. The traffic-free street reminds me of an outdoor mall, littered with trendy shops like Zara, H&M, Forever 21 and more. If you’re looking to splurge, Kohlmarkt is Vienna’s luxury shopping street. 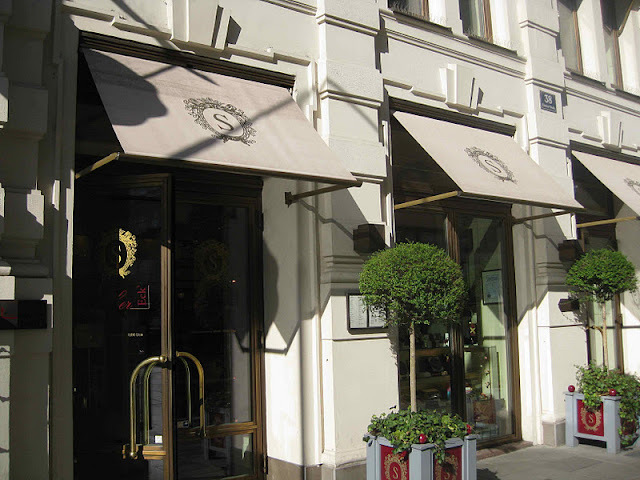 Here you will find an abundance of designer shops and expensive cafés.